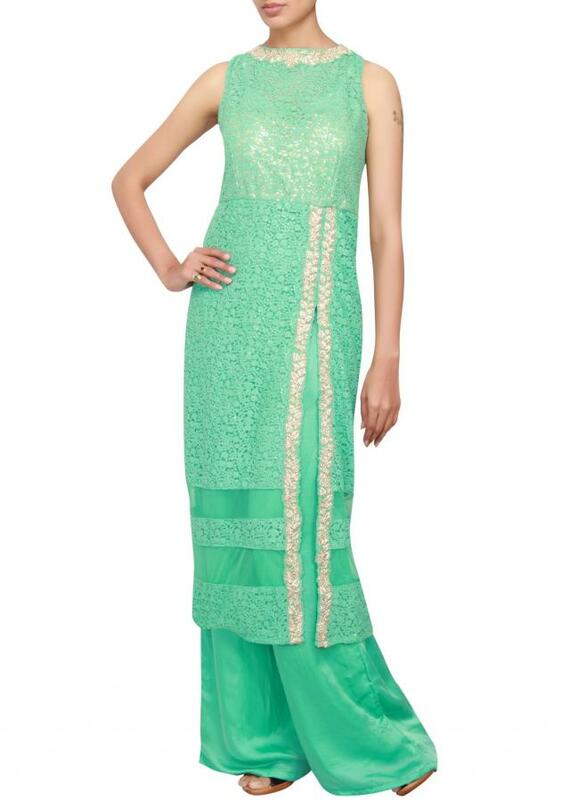 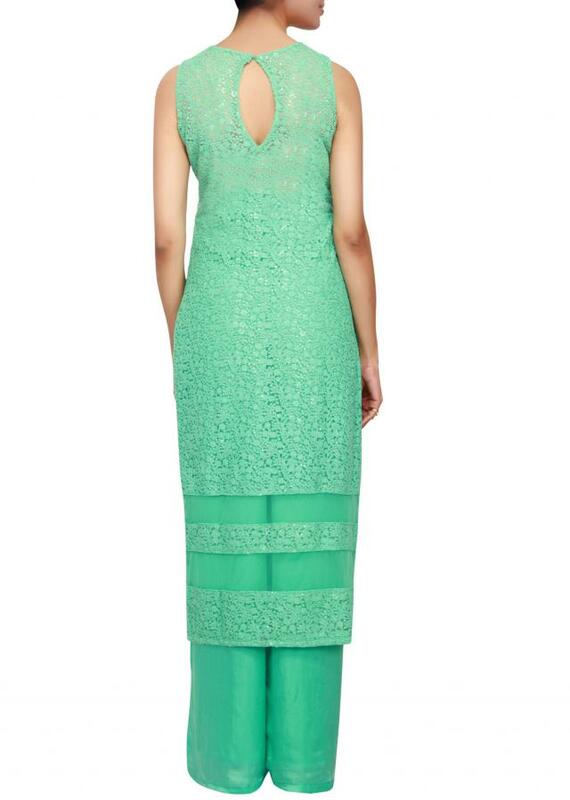 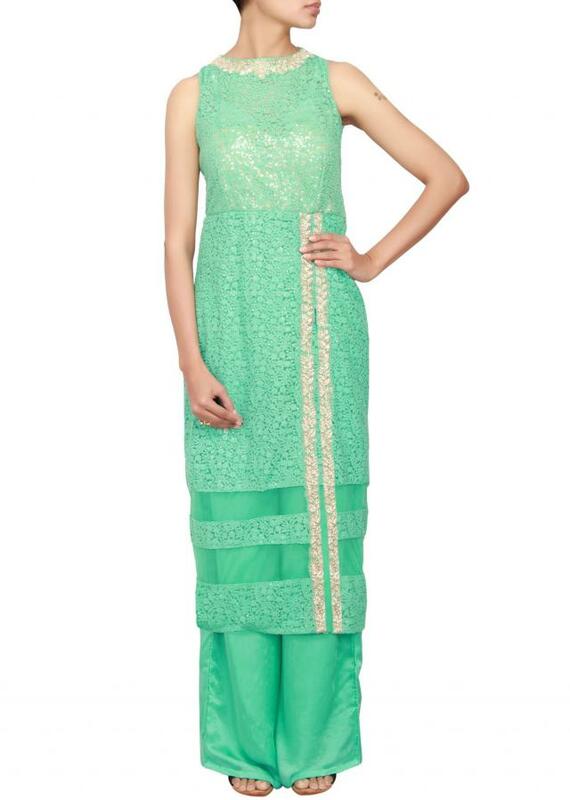 Featuring a mint a-line suit embellished in mint resham embroidery all over. Neckline is in boat style embellished in zardosi. 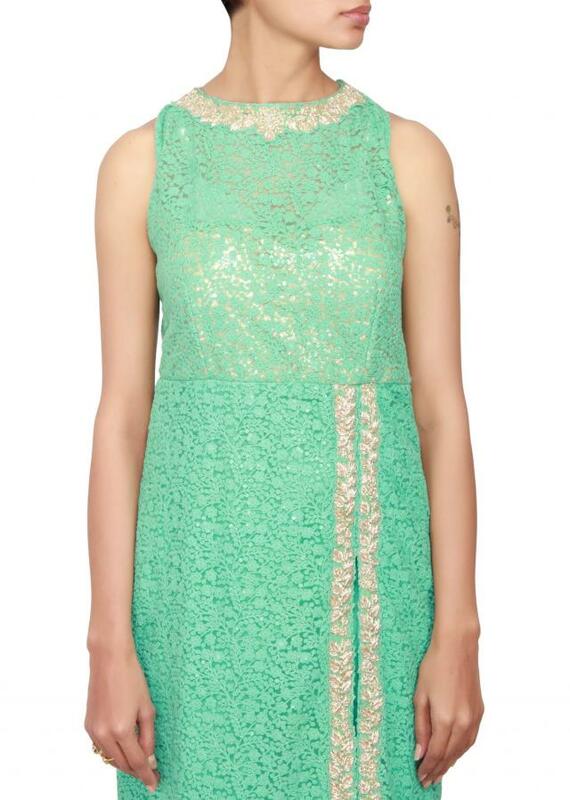 It has center silt from the lower thigh. It comes with a mint satin palazzo pant. 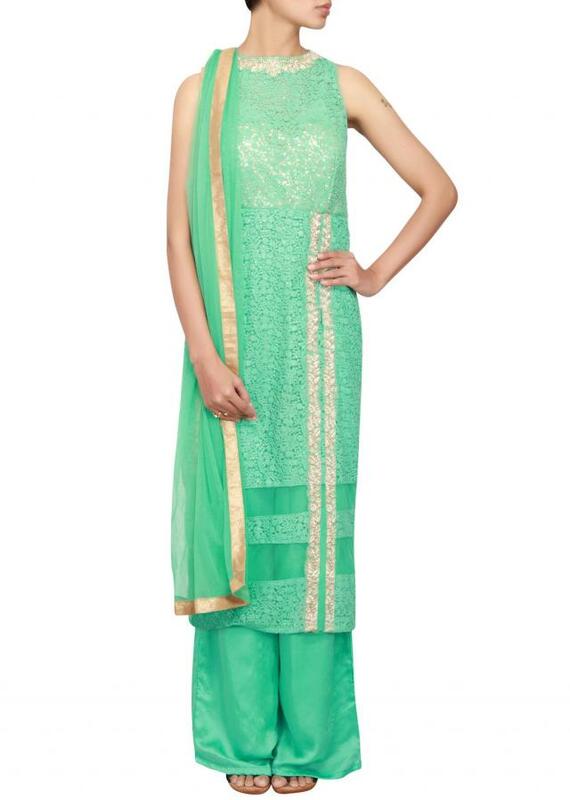 Dupatta is in mint net with gold lurex border.